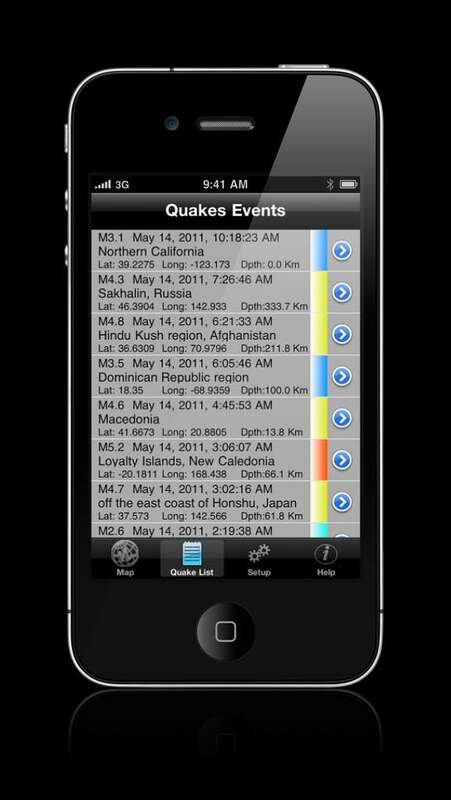 iQuakeMini for iPhone and iPad. iQuakeLite™ is a free but reduced version of iQuakeMini. Displays in stunning colors the latest quake activity. Watch the video or download the app from the iTunes App Store. The Lite version is free and you can download it Here . It is a native iPad "HiDef" application and was in the iPad App Store Grand Opening on March 27, 2010. It has been since downloaded by thousands of users worldwide. Quakes are displayed as colored spots of different colors representing the age of the quake, and size representing the magnitude. We followed the USGS standard and used Red for new quakes, Orange for quakes that occured in the last 24H and yellow for older quakes. 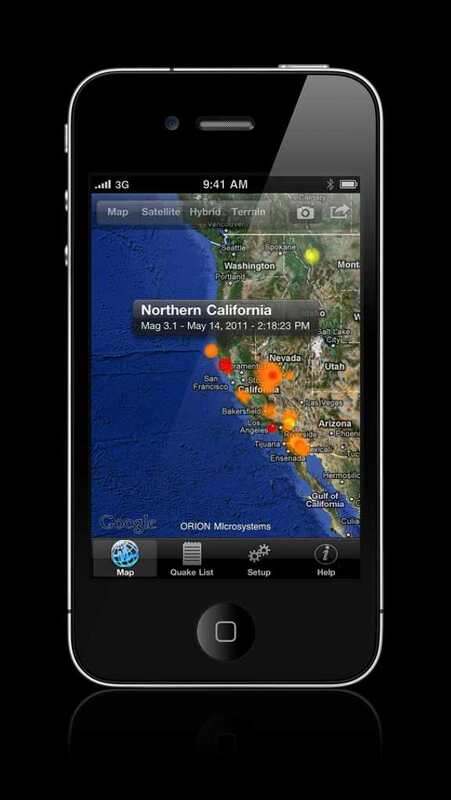 This allows to see immediately on the map where new quakes occured and how big there were. 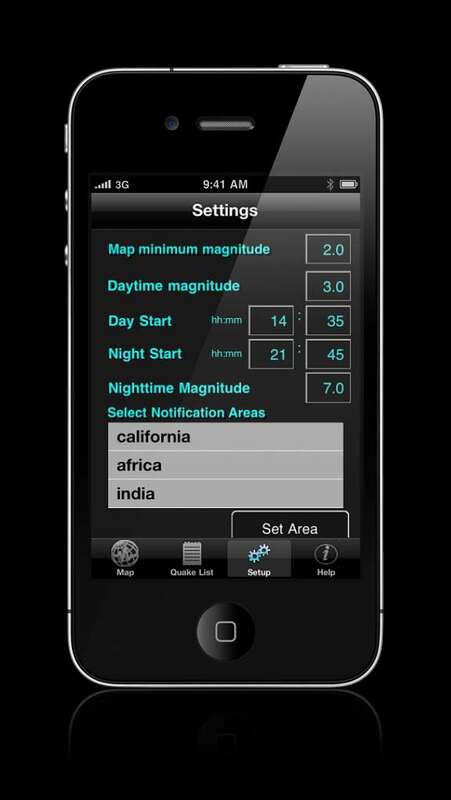 If you tap on the spot a popup will give you more details about the quake. The map is a Google map and can be zoomed unzoomed using your fingers and Apple "Pinch gesture". 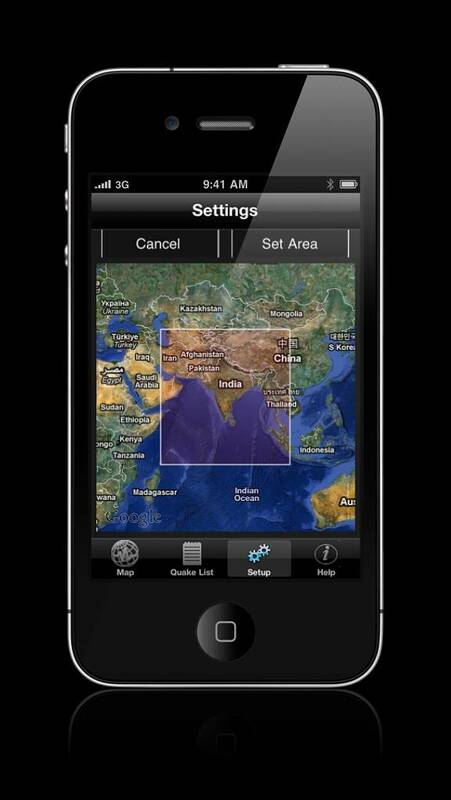 Maps selected from topographical to hybrid satellite+map and can be zoomed to the point that you can see people. 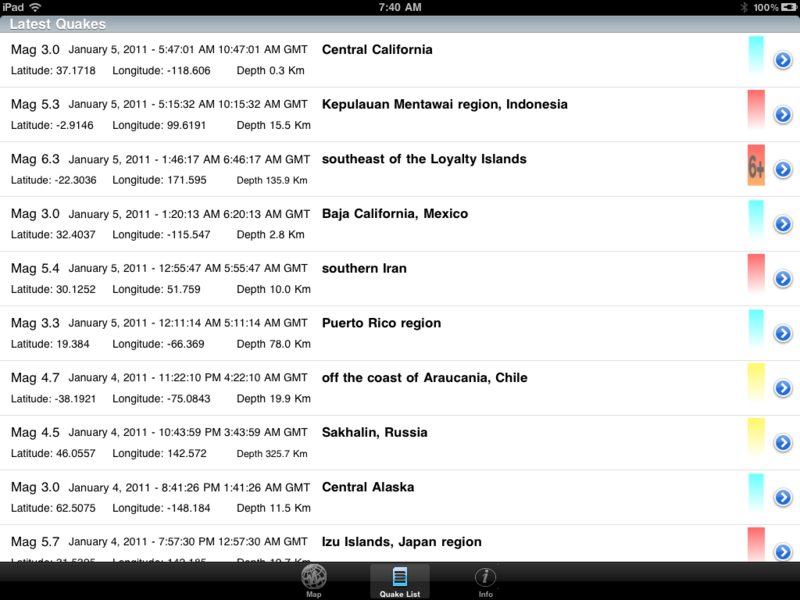 Quakes are also listed in a separate panel with detailed information, the newest quakes at the top. A color coded block will also tell you immediately wich quakes are strongest. Tapping the disclosure arrow will send you to the map location, so you dont have to search anything. All picture above were made on an iPad running a Beta iQuakeMini v3.0 but you can use iQuakeLite to go to the indicated coordinates by reading our blog entry "Easter Egg: Secret GoTo Coordinates".